The most advanced high-tech aerodynamic skin, hyaluronic acid particles may be nano-bullet like that, noninvasive injection into the dermis, thickened dermis, immediately eliminate all wrinkles, and continuous improvement, reversal of skin aging, long restore youthful vigor. completely abandon the needle injection pain and other defects, the effect of Zoran Maria. 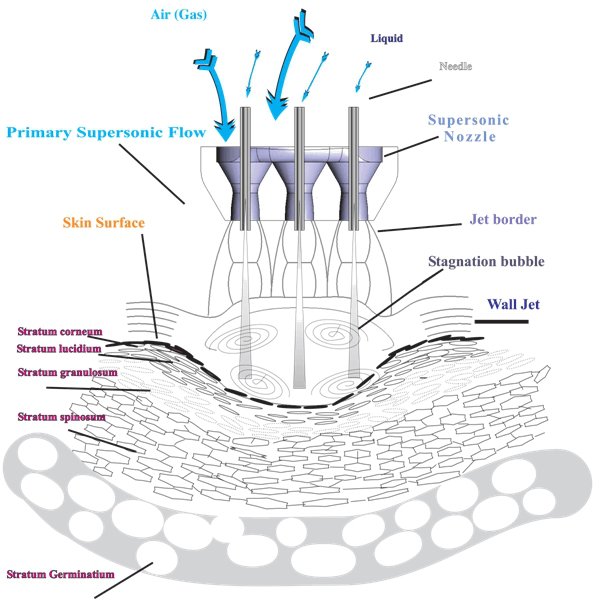 nano-bullets as the role of the skin (5-200vm microns), ultra-fine, ultra-high speed tiny water droplets spray (jet spray) form, with 220m / sec (seconds) speed (supersonic) sprayed by a special designed nozzle, speed will be the product into the underlying skin. 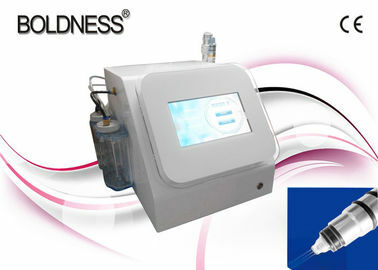 Non invasive injection hyaluronic acid, hyaluronic acid to create the perfect muscle amidst the injection speed 220 m / sec concentrated at one point, so that each of the micro channel injection hyaluronic acid liquid, focus filling wrinkles, deep water, the skin regain full, glorious, fresh vitality! through processing, quickly solve the breathing is not smooth skin, dredge lymphoid and remove skin dirt, eliminate the skin metabolism of keratinocytes, as well as in water environment is pollution of each pigment. 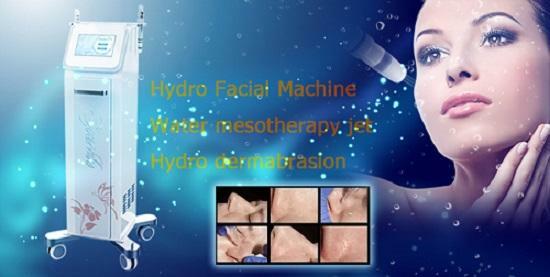 Humanized with different plot water carving net surface for in any skin, completely replace the exfoliating, crystal sand dermabrasion, inject oxygen replenishment. Using water power cycling system, the ion gene water directly on the inner wall of the pores of the attachment of a comprehensive clean. Thoroughly clean the skin, while not so that Mao Kongbian's thick, but also to add a lot of water to the skin. Can also play a sculpture of facial contour, tightening and so on. Just a cleaning step, you can make your skin fresh and transparent, tender New feeling. 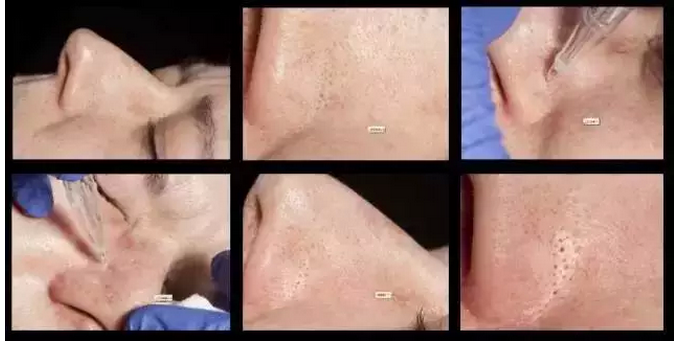 1.Dry, dumb, edema, eye, spots, large pores, acne, scars, crow's feet, forehead wrinkles, nasolabial folds, table linen, hair growth, sweating psychosis. 5,Repair care: improve the dark color, shrink pores, smooth skin, improve sensitive skin. 6 skin care: remove spots, pigmentation, shrink pores; whitening skin; enhance skin elasticity and gloss. 8 hair care: improve seborrheic alopecia, alopecia areata; hair care. 1. Greatly enhances poor, dull skin texture by gently resurfacing the superficial skin layers. 2. Softens and modifies fine"expression" lines typically seen around the mouth and eyes. 3. Polishes and reduces fine, crepey lines generally cased by aging and sun-damage. 4. Smoothes pigment changes of skin discoloration. 5. Contracts enlarged pores;exfoliates and suctions out clogged pores in cases of acne. 1 please do not operate in a damaged skin. to full back to wastewater.